Tea is a complex drink to be sure, but here in the United States it can sometimes feel like coffee’s boring cousin. 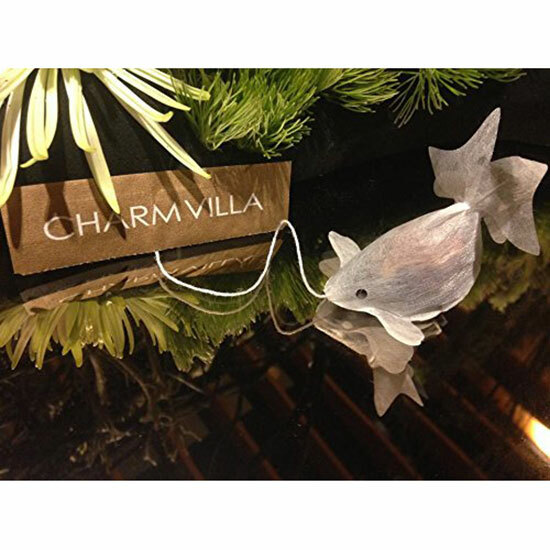 Maybe that’s why Taiwanese brand Charmvilla has made waves – or more like tiny ripples – after introducing its line of goldfish tea to the U.S. It’s not tea made from actual goldfish; instead these unique teabags have been designed to look similar to live swimming goldfish when submerged in water. Studnents from St. Johns University in Taipei designed the award winning teabags which, When submerged in hot water, not only do brew a cup of tea, but they also swell up to fish size and shape. The thread is even attached to the fish’s mouth so when you pull it, the bag appears to be swimming. Despite their intricacy, the design process might be even more complex than you think. “There are 16 steps that go into making the teabag. Nine of those require manual, handicraft skill,” a rep from Charmvilla, the creative agency behind the bags told Eater. "As for the details of the production, those are trade secrets." Though these teabags have been around for two years, excitement recently ramped up again after the product started popping up on Amazon for the first time in the US. Bad news, though: Not only are these bags pricey – a box of 12 will set you back between $70 to $100 – but even if you wanted to buy them, they have been selling out from many online stores. Maybe you’ll just have to ask Santa to get some for you. Though I’m not sure what kind of pull he has in Taiwan.